"The tests make an awesome impression on our candidates. I couldn't imagine going back to text-based testing." 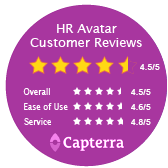 "We've been using HR Avatar's technology for several years now for complex custom assessments. Our clients love them!" "Our candidates used to complain when we asked them to take tests, now they tell their friends about their experience!""